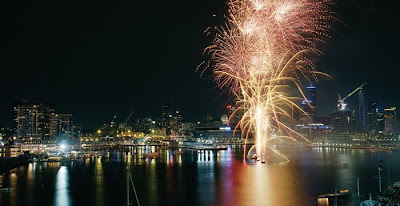 Ring in the new year at Docklands. The family friendly atmosphere and spectacular views will have you wanting for nothing this New Years Eve. The celebration at the newly refurbished James Squire promises to be amazing. The seating arrangements for dinner will ensure a social and fun night. Meet new people while tucking into the 3 course NYE menu and enjoying a James Squire brew. Book now, call Ph 9606 0644 or visit www.jamessquire.net.au for more information. The family friendly atmosphere is coupled with a scrumptious seafood focused menu - perfect for a hot summer's night. The evening is broken up into two sittings, the first finishing at 8pm, leaving enough time to nab a good position around the waters edge for the early fireworks display. With a wall of windows overlooking the harbour, you'll have the best views in Docklands. The Mediterranean inspired menu will keep your hunger away and the local & international wine selection from the Butchers Grill wine wall will keep the celebrations going. The award winning restaurant is offering a glass of refreshing sparkling wine on arrival. If that isn't enough to tempt you out of the heat, the 8 course banquet filled with Asian delights might do it. There is a choice between a standard and superior banquet. Entertainment kicks off at 6pm in the Waterfront City piazza. The free event offers something for everyone. The night begins with Tricky Nick's Magic Show, Miley Montana and Shrek and ends with DJ Anthony spinning everyone's favourite tunes & Boutique Duo performing until the countdown. Roving performers can also be found along NewQuay promenade & Vic Harbour Esplanade. Two spectacular fireworks displays will fill the night's sky over Docklands. The first show will begin at 9:15pm and is ideal for families. The grand finale will begin as the clock strikes twelve and has been touted as the best NYE fireworks yet. Christmas is here again and Docklands is in festive mode. Celebrations start early with the Carols at Docklands extravaganza beginning at 6pm tonight. Bring your family & friends to this free event and sing along to your favourite carols in the piazza. The free event has fun for everyone including special guest performers, a 60 piece gospel choir, kids carnival with a jumping castle and fairy floss, a skate comp, games, giveaways, fireworks and a visit from Santa! Mecca Bah will be hosting some very special guests on Christmas morning. The 6th annual Christmas Day Brunch for the Salvos will take place from 9:30am - 11:30am. All guests are frequent users of the Salvation Army’s services throughout the year and are some of the most marginalised in the city. Melbourne's Lord Mayor will again be helping out by driving guests from the Bourke Street centre to Mecca Bah. Harbour Town Shopping Centre is closed on Christmas Day and will re-open on Boxing Day with massive savings. This is your opportunity to shop til you drop and pick up some great bargains from Melbourne's favourite outlet stores. 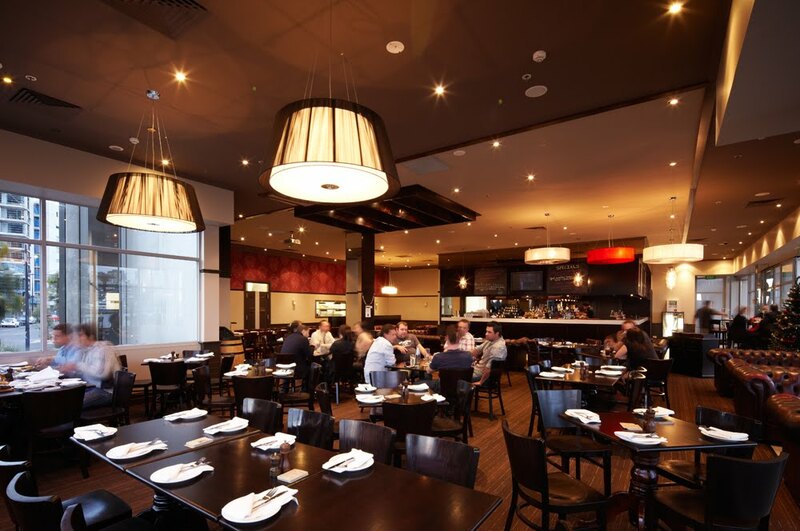 Take a break from all the bargain hunting and re-energise at James Squire Brewhouse. The Docklands pub has had a makeover that is sure impress. The new Australiana menu is fresh and the beer, as always is cold. 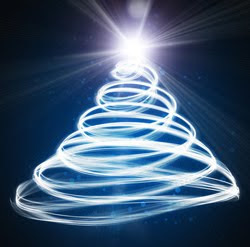 The Discover Docklands team would like to wish you all a very Merry Christmas & safe and happy new year! Get into the festive spirit this weekend at Docklands. The Docklands community is really getting behind the Salvation Army this year. Mecca Bah will once again hold their annual Christmas Day Brunch for the Salvation Army on 25 Dec – with Melbourne’s own Lord Mayor helping out on the day. 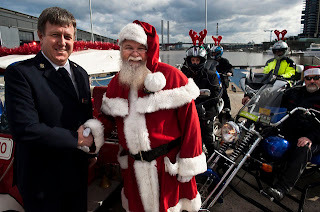 Looking at this weekend; Central Pier, NewQuay & Waterfront City will be swarming with 2 wheeled vehicles as Docklands hosts the 33rd Annual MRA (Vic) Toy Run for the Salvos. It’s the first time for the event at Docklands and it’s going to be big! The Motorcycle Riders Association of Victoria will collect donated toys from across Melbourne and converge on Docklands from 11:30am for a day of family friendly fun. Check out bikes, trikes & scooters on display, kids activities & face painting, choir performances & balloon artists. The Salvation Army gift collection trucks will be on hand to collect all donations while live bands & stunt shows will entertain the crowd. Discounted parking is available at Etihad Stadium. 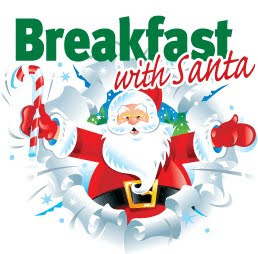 Treat the kids this weekend to breakfast with Santa at Wonderland Fun Park. This free event includes breakfast, a meet & greet with Santa and a small gift. Plus see the amazing antics of the acrobatic Christmas elves, visit Santa's stable and post a letter to the North Pole. Sessions must be pre-booked. Visit www.habourtownmelbourne.com.au for ticket info. With the sounds of U2 still ringing in our ears, it's time for another big name to play at Docklands. Bon Jovi will wow audiences with all their hits on Saturday night when The Circle tour comes to town. For those lucky enough to have tickets, gates open at 5pm, with Bon Jovi scheduled to begin at 8pm. Head to a nearby restaurant before the show and take advantage of the many Pre-Concert deals. Many venues are offering 2 & 3 course specials to ensure you'll be on time for the show. Everyone's favourite pub at Docklands is back. James Squire Brewhouse has re-opened with a new look and a new taste. The new menu features Aussie fare with each dish matched to a signature ale. And we're told the pub will begin brewing their own special brews after Christmas. Some great beers to look forward to include Wheat Belt White, Docklands Pale Ale & Highway man.